For this novel of French bourgeois life in all its inglorious banality, Flaubert invented a paradoxically original and wholly modern style. His heroine, Emma Bovary, a bored provincial housewife, abandons her husband to pursue the libertine Rodolphe in a desperate love affair. A succès de scandale in its day, Madame Bovary remains a powerful and scintillating novel. This Penguin Classics edition is translated with notes and an introduction by Geoffrey Wall. It includes a preface by Michele Roberts. Gustave Flaubert was born in Rouen in 1821, the son of a prominent physician. A solitary child, he was attracted to literature at an early age, and after his recovery from a nervous breakdown suffered while a law student, he turned his total energies to writing. Aside from journeys to the Near East, Greece, Italy, and North Africa, and a stormy liaison with the poetess Louise Colet, his life was dedicated to the practice of his art. The form of his work was marked by intense aesthetic scrupulousness and passionate pursuit of le mot juste; its content alternately reflected scorn for French bourgeois society and a romantic taste for exotic historical subject matter. The success of Madame Bovary (1857) was ensured by government prosecution for “immorality”; Salammbô (1862) and The Sentimental Education (1869) received a cool public reception; not until the publication of Three Tales (1877) was his genius popularly acknowledged. Among fellow writers, however, his reputation was supreme. His circle of friends included Turgenev and the Goncourt brothers, while the young Guy de Maupassant underwent an arduous literary apprenticeship under his direction. Increasing personal isolation and financial insecurity troubled his last years. His final bitterness and disillusion were vividly evidenced in the savagely satiric Bouvard and Pécuchet, left unfinished at his death in 1880. 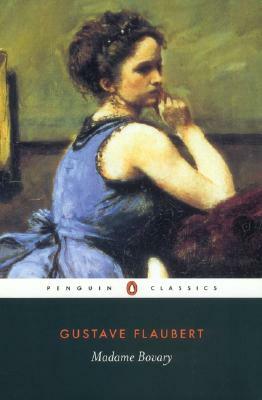 Geoffrey Wall is author of the critically acclaimed Flaubert: A Life and translated Madame Bovary for Penguin Classics. Michèle Roberts is the author of ten highly praised novels.